The Landmark Trust has saved many smaller, yet noteworthy historic properties across Britain and turned them into stunning properties that are available as holiday lets. We discover some of the sweetest. Built for the caretaker of a 19th-century church, this little two-bedroom home now offers guests a wonderful setting for a holiday near the village of Llandygwydd in the heart of Wales, surrounded by hills, woods and farmland. Designed by Charles Rennie Mackintosh at the height of his creative output at the turn of the 20th century. Since coming under the care of the Landmark Trust, this little apartment has been redecorated to be in keeping with Mackintosh’s designs, providing a stylist retreat for up to four people. This unusual property was constructed for the 4th earl of Dunmore after he served as Governor of Virginia in the 18th century. It was perhaps the tradition of Virginia sailors to announce their return home by placing a pineapple on their gateposts that gave Lord Dunmore the inspiration for his rather eccentric summerhouse, built on his return to Britain. Perched on a promontory overlooking the sea, this 19th-century fort will be a great place to explore if you are interested in military architecture, or even if you’re just looking for a spectacular coastal spot to visit. This pretty, Italianate Victorian railway station fell into disuse after the railway line closed. Thanks to the Trust, up to eight people can now spend the night here, once again making use of the stationmaster’s house and the waiting room where the walls are emblazoned with the colours of the railway company that once serviced the station. 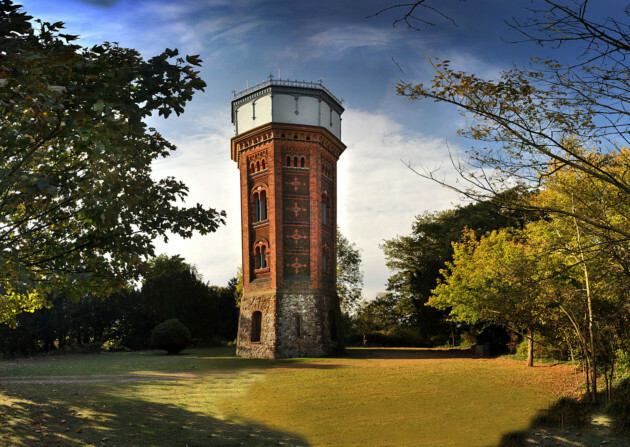 This impressive Victorian structure once served the Sandringham estate and now provides a quirky holiday let for a romantic getaway where it is possible to enjoy far-reaching views of the surrounding countryside during the day and the stars at night.